Have you ever been in a situation where you became your peers boss? Have you gone from an assistant coach to the head coach in the same program? The same challenges exist, and if you haven’t, that situation is coming. One day you are joking around, frequently going to happy hour and having those “loose” conversations and then suddenly you become their leader and boss. These types of former working relationships can serve as high potential derailers if one isn’t proactive in preparing, communicating expectations, defining roles and responsibilities, setting boundaries and reinforcing team cohesion. What most leaders don’t realize is the skills and attributes that got you here won’t get you there…or keep you here. Your leadership presence is on high alert and all eyes are on you. 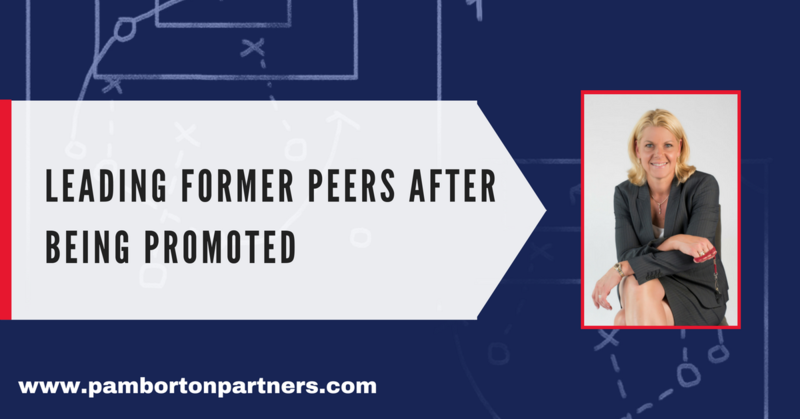 In a new role, a promotion, leading peers, and expectations have changed. Your reputation, credibility and leadership will consistently be challenged. What was permitted before, an occasional emotional outburst, will now be seen by peers as a strike to one’s reputation in terms of composure. Those same reactions have new expectations. A leaders reputation when it comes to integrity, people skills, strategic business acumen and the ability to engage others, the Next Level is expected. Many companies and organizations have become ultra focused on leadership development for many reasons. Promoting within organizations to the C-Suite and senior level positions has a higher success rate than externally recruited. High level leaders recruited from the outside, is almost seven times more likely to be “let go” within a short period of time than those who are promoted from within the organization. Leading and managing your peers will likely happen if you’re on this track. I have found that many companies are investing in building and developing a sustainable leadership pipeline. My advice to you, continue to learn and grow. One day you will be managing and leading your peers and the time to prepare is now!